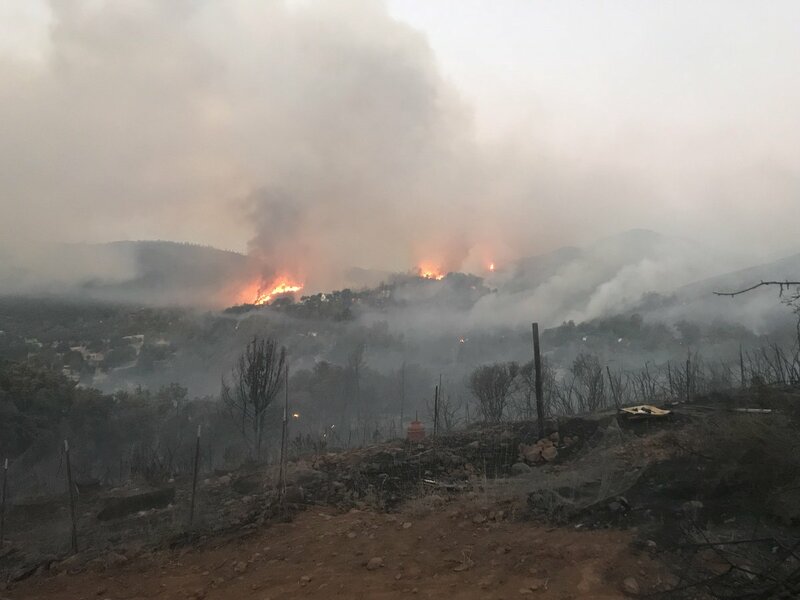 CLEARLAKE OAKS, Calif. – A wildfire that started yesterday is gaining traction as it spreads all over the area prompting large numbers of crews and widespread evacuations. Here is the Sit Rep for the Californian wildfire Pawnee Fire. Start Date/Time | The fire started on Saturday, June 23, 2018 around 1721 hours. 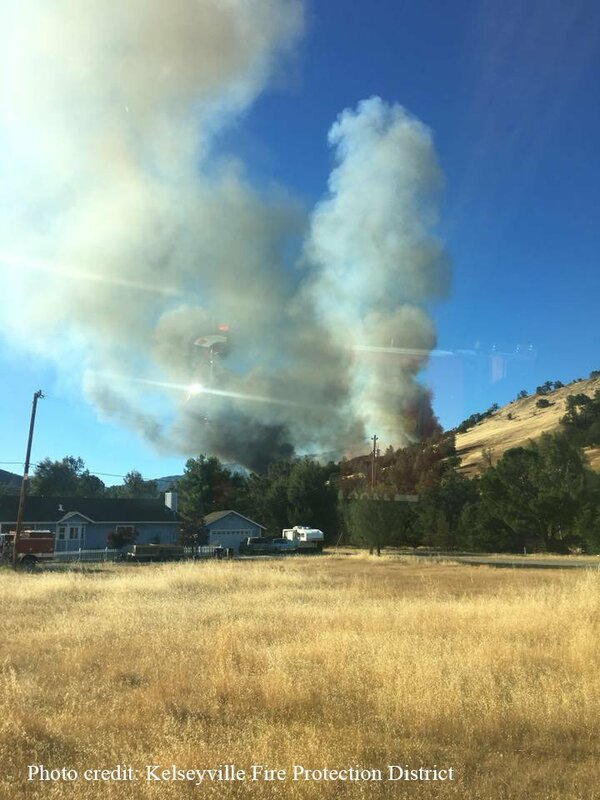 Location | It is burning on Pawnee Road x New Long Road, 4 miles northeast of Clearlake Oaks, California. Unified Command | CAL FIRE and Northshore Fire Protection District. Cause | The cause is unknown at this time. Destroyed | The fire has destroyed 1,500 acres and 12 structures. Current Conditions | Fire burned actively throughout the night in the Spring Valley area, northeast of Clearlake Oaks. Fire behavior is being driven by low RH, erratic winds and above normal temps. The area is under a RED FLAG WARNING. Threats | 600 structures are currently under direct threat in Spring Valley Road area. 40 structures in the Double Eagle area. 1706 | Mandatory evacuations now include all areas north of Highway 20 and east of Old Long Valley Road to Round Ball Road, including Mule Skinner, Long Branch, Watertrough, Flintlock, Muzzleloader, No Guns, Antelope, Cougar, Marianne, Ramrod and Moccasin. 1702 | CAL FIRE is requesting all remaining residents in the Spring Valley area reduce their water usage immediately to conserve water for firefighting suppression efforts. 1657 | Alameda County Fire Engines 308 and 330 are dispatched and en route to the fire, part of the Strike Team XAL 2002C with crews from Berkeley FD, Hayward FD and Fremont FD. 1602 | Mandatory evacuation orders expand to include all areas north of Highway 20 and est of Old Long Valley Road. 1536 | Estimates at 3,000 acres with a 0% containment status. 1528 | 4 spot fires just popped up across New Long Valley Road near Indian Hill Road. IC calls for need of Engine Strike Teams (25 engines) for immediate structure protection. 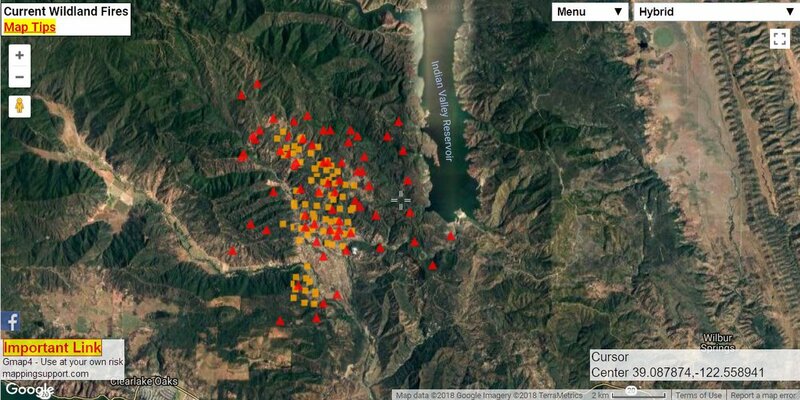 1509 | LA Co FD dispatches 4 Camp Crews (11-1, 11-2, 19-2, 19-5) plus 1 BC (BC46) to assist CAL FIRE. 1505 | Multiple spots along New Long Valley Road, critical need for copters to assist in maintaining fire line. Fire is .25 to .5 mile away from the dam. 1408 | Significant fire moving downhill into Wolf Creek Road area with structure threat. Is said to be moving east towards the reservoir. Infrastructure of a hydroelectric facility at the dam. Air resources to put retardant in the area for structure protection. 1416 | AA advises if fire hits the Spring Valley area and they engage in structure protection, may be dropping retardant all over houses, fire equipment. Fire moving to the N/NE. The next road in that area is Bartlett Springs Road. 1341 | Tankers 01 and 10 divert from this wildfire over to Redding for the Clear Creek fires. 1337 | Evacuees are being sheltered at Lake County High School, a Red Cross shelter. 1245 | CAL OES approves Fire Management Assistance Grant which provides Lake County agencies to receive 75% reimburse of their fire suppression costs. 1226 | No divert on 4 air tankers due to imminent life to civilians and firefighters. CAL OES Coastal and Inland EOCs are activated and staff from regional response teams are deployed. 1154 | Pawnee Fire activity shows gusty northern winds are part of #cawx forecast to shift to a southwesterly direction in the afternoon. | Photo Courtesy: NWS Sacramento, GEOMAC and MODIS satellite instrumentation. If you need emergency assistance with your animals contact LEAP: 707-263-0278. This is also the same number to call for urgent boarding of large and small animals (as of 6/24 there is still room). 1056 | Berkeley Fire Engine 305 dispatched to fire as mutual aid. 1046 | Alameda County Fire crews (CAL OES STrike Team 2870 OC) arrive in Staging safely. They begin a 24-hour operational shift. 0942 | RED CROSS working on opening shelter at Lower Lake HS located at 9430 Lake Street. 0904 | IC requests Aircraft resources: 1 VLAT, 2 LATs and 3 add’l S-2s for a total of 4. 0711 | Fire is now 1,500 acres. 0407 | Fire continues to grow and remains at a 0% containment status. Bay Area Fire resources have been activated. Some structures have been lost. Air attack will begin at first light. 0316 | Rio Vista FD Brush 55 unit is dispatched, en route to the wildfire. 0251 | Video Photo Credit: Alameda County FFD. 0151 | PG & E lines shut down. 0139 | Fish and Game helping with animal evacuations. 0052 | PG & E lines are down and still alive. Request to company to shut down in the whole area. 0018 | Multiple structures are ablaze with fire on both sides of Wolf Creek Rd. Heading and due to impact Spring Valley Road heavily. 0003 | IC requests Sheriff to do another emergency mandatory evacuation alert for the entire Spring Valley area, all subdivisions and roads that lead to that area. Multiple structures on fire with civilians still in area. 2306 | Fire heading towards Indian Valley Reservoir. 2110 | Fire reached 400 + acres and making a run. All aircraft are off the fire for the night. 2044 | AA estimates fire at 200 acres. Helo was in process of mapping the fire. 1907 | AA reports 60-acre fire with moderate fire behavior and ROS on all flanks. 1804 | CAL FIRE notification of firefighters battling 75 acre fire. Personnel | There are currently 237 personnel which include 5 fire crews. Equipment | There are 32 fire engines, 2 helicopters, 7 bulldozers and 2 water tenders.